Manchester United are expected to splash the cash once again this summer as Jose Mourinho looks to make some significant upgrades to our team and challenge for both the Premier League and Champions League next season. Whilst central midfield and defence are our main priorities we are being linked with attacking players too. There has been a sudden shift in odds over the past 24 hours to suggest that we could be in for Juventus hitman Paulo Dybala over the summer. The 24-year-old has been prolific for the Serie A leaders and has been linked with a move to Old Trafford previously. It may just be a case of the Argentine international becoming available. 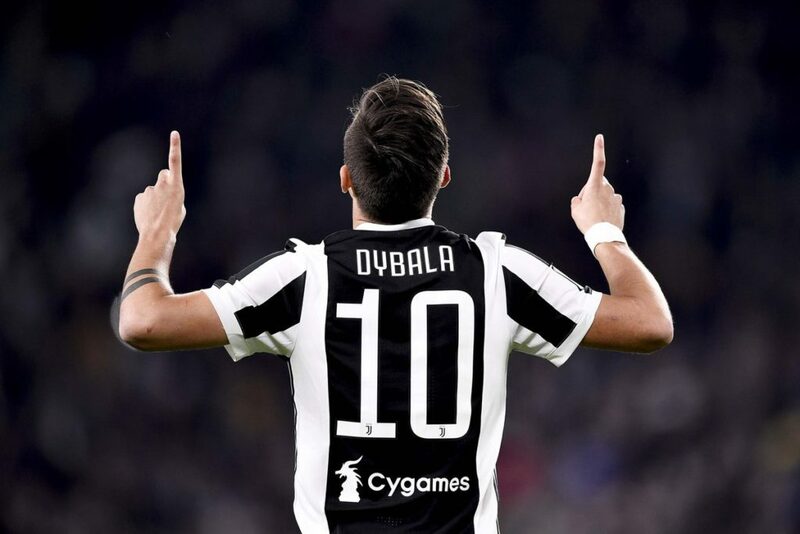 Online bookmaker BetStars have made us 13/8 favourites to sign Paulo Dybala this summer but Manchester City (5/2) and Bayern Munich (3/1) are also in the hunt. Following Zlatan Ibrahimovic’s departure to the MLS earlier this year our only backup options to Romelu Lukaku are Marcus Rashford and Anthony Martial – both whom are predominately used on the wings under Jose, and the latter who is strongly linked with a move away from Old Trafford this summer. In fact, it’s Juventus who are being strongly linked with signing Martial from us this summer – so perhaps there could be a swap deal in place between the two attacking players. Manchester City currently have Sergio Aguero and Gabriel Jesus as their options up front, though the latter hasn’t been overly effective for Pep Guardiola’s side this season. Meanwhile, we’re also linked with Bayern Munich’s Roberto Lewandowski, so the German side could simply see Dybala as the Polish striker’s replacement. Paulo Dybala has scored 21 goals in 26 Serie A appearances (20 starts) for Max Allegri’s side this season, though it’s worth noting that he only notched up one goal in his eight Champions League appearances, which included a red card in the first leg of their quarter-final against Real Madrid last week. We’d certainly welcome another attacking talent at the club and if we are able to land Paulo Dybala this summer it would make a huge statement of intent in terms of our trophy hunting next season.